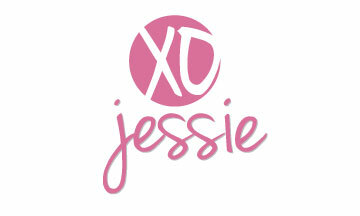 Jessie Dear: Adventures in Beauty or Why is there no room under my bathroom sink? Adventures in Beauty or Why is there no room under my bathroom sink? Speaking with Tara on Twitta today got me thinking about hair care and beauty products. It looks like a damn WalGreens up under my bathroom sink, (Sorry Matt) and a ton of these things are must have go to products for me. When I pack for a weekend out of town to visit our parents, I have a hard time choosing what all to take, so a lot of times I take everything. Lubbock water is much harder than San Angelo water and I can never quite get the combo of products down, I spend a lot of time at work thinking about what bottles need to be packed to make my wig presentable. Because I use so many products I'm going to post what I use weekly. My hair has been looking like straw thanks to the West Texas wind and dirt and all the heat I use to style, so I opted for Headshot. This shampoo and conditioner really works wonders if your hair is dying of thirst. The conditioner can be a bit heavy, so I only use a small amount on my ends. On Friday or Saturday nights (par-tay whoo hoo) I deep condition with this conditioner as you can leave it on as a mask longer than your normal conditioning routine. It feels like Winterfresh gum on your scalp, I really dig the pepperminty cool feeling and I love the smell of this stuff. It's my number one choice for hydration. TIGI is never a let down for me but it can be a little pricey, well worth the investment though in my opinion. I am certainly no snob when it comes to grocery store/pharmacy products. I use and like a lot of them. Dove is my general go to when I can't splurge on Frederic Fekkai or TIGI or any other of the millions of other products that are more than 5 bucks a bottle. This is what I take with me to Lubbock on most of trips because it's very light and rinses clean for me. 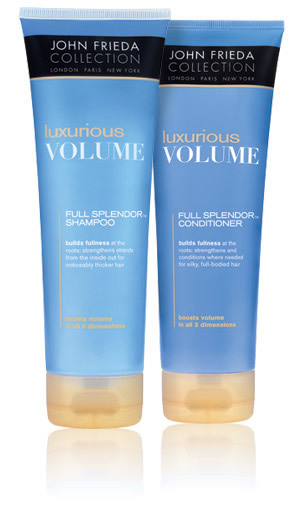 I also find the Dove volumizing mousse really light weight and not sticky at all, love it. It doesn't always come out this way but I do my best. My hair is naturally fine, thin and pretty lifeless. I envy girls with natural wave or thick hair. It's so hard to get the Victoria's Secret thing going on with hair like mine. I try to stay away from hair spray as much as I can because the alcohol really dries your hair out, but I have to use something to set it, so I stick with the John Frieda Luxurious Volume hair spray. I'm pretty loyal with my make up products. My skin is very sensitive to certain kinds of make up and I've found that Maybelline and CoverGirl, no matter the product dry my skin out to no end, so I haven't really tried any of their products in quite some time. Sorry T Swift. 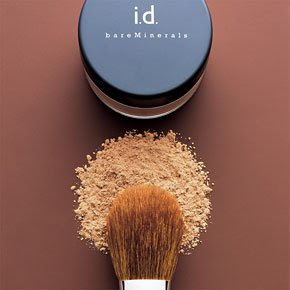 My favorite make up this year is all about Bare Minerals. There is an amazing outlet mall in San Marcos that had some crazy sales this summer and I stocked up on eye shadow and lip gloss. I have just started using the "Matte" powder foundation and have found that it covers much more than the non matte. I love it! However, I found that the coloring varies a bit, I usually get "Fairly Light" in the regular Bare Minerals foundation but in the matte I use "Fair". The only complaint I have about Bare Minerals is that it seems to take a while to apply it compared to other make up. I will admit I was late to the make up game, not really trying it out until my senior year of high school, so I'm still doing a lot of experimenting (not that kind perv) to find out what I like. So, if you wear Bare Minerals do you use the skin rever upper and the primer? I do, I use it all and it seems to take forever in the morning but it lasts all day. 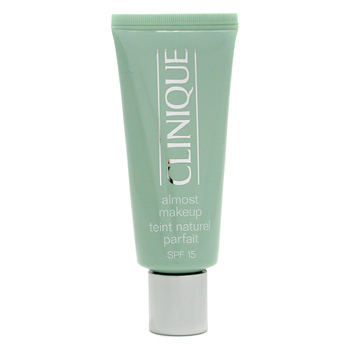 When I'm in a rush or keeping it casual for the day I opt for Clinique's Almost Make Up. It's very light weight, light coverage with SPF. I can't wear it if my skin looks blotchy or I'm chilling with some rosacea, but when I'm having a good skin day it's fabulous. The only thing I don't like about it is that it seems to wear off quickly, but that is remedied by a quick application of primer. Speaking of primer, I picked up a tip from a website about using Monistat's non chaffing cream as primer. I use it when I'm not wearing Bare Minerals and it is AMAZING. Who knew? Just a tiny dab all over your face sets your make up for all day wear, it's genius. Not sure how it works on oily skin though. I tried this product for no other reason other than I love Carmindy. I watch "What Not to Wear" religiously and find her make up tips really easy to follow. I can't say enough about this make up, I love it so much. 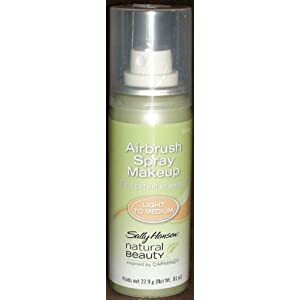 It goes on really smooth and stays put most of the day but I guess I don't know what I'm doing, but I had been spraying it on a sponge and then applying it to my face but it felt like a waste since a lot of it ends up in the sponge. That being said I like it a lot but can't find it at any stores around here, I suppose I'll have to order it online soon. As far as mascara goes I have to say that I love the Cover Girl Lash Blast line. Love it. I line my upper lash with black, purple, green or blue liner (also Cover Girl) and curl my lashes with an eye lash curler (do people still do that? I hope I'm not the only one ha ha) and it lasts all day, comes off easily in the shower and doesn't flake. Another favorite of mine is from Sally Hensen's Natural Beauty Mascara by Carmindy. It goes on nicely and I love the small brush for more control. It looks so natural, it's definitely one you at least have to try once! I can't say enough about it. It's awesome and affordable. Those two are my favorites, and I'm willing to try any new ones that come out. One that I am emphatically against is Big Tease by Bare Minerals. It goes on beautifully and lasts all day but I hate taking it off, it's a mess. Even in the shower this stuff runs down my eyes like someone threw ink in my face, that alone makes me not want to wear it. My eyes are really dry so I use eye drops throughout the day, I'm also a sensitive baby and tend to cry a lot and it's impossible with this mascara. At least with the first two I can tear up a bit without any mess at all. As far as lips go, I haven't found anything that I really love unfortunately. I really want something light that lasts all day that isn't sticky or goopy. For my wedding, my make up lady used a lasting lip color from MAC that I really liked. I used to be really into MAC and then they added some ingredient that made my skin break out so I had to leave it alone, I really loved it though. Anyway, the lip gloss she used was Mac Pro Longwear Lip Color and it was ok but I didn't love it. I'm open for any suggestions for lip color. For now I am using Clinique's Black Honey which was pitched to me as a universally flattering shade. It's not exactly lipstick or lipgloss, it's like a hybrid of both. I'm also using Almay's Truly Lasting Lip Color and have tried Revlons Color Stay, both of which are sticky and I'm not crazy about them but they look pretty good. I wash my face with Neutrogena's Oil Free Acne Wash. It's very mild and not irritating like the Neutrogena Grapefruit Scrub. It really makes my face feel smooth and clean and has been the only facewash I've found in the last 5 years that has good chemistry with all the other stuff I put on my face. It's pretty inexpensive at around 6 bucks a bottle. My body wash right now is also Daily Moisturizing by Dove, it's really gentile on my skin and rinses clean, which is what I really like in a body wash. I hate that gross filmy feeling other washes can leave behind. Also in my shower is Pomegranate Lemonade by CO Bigelow available at Bath and Body Works, it smells so fresh and also rinses clean. I also have the body butter to go with it. I slather my face at night with Garnier's Skin Renew Radiance Moisture Cream. Someone was nice enough to point out to me a few weeks ago that I was "Showing early signs of aging and that I should do something about it now before it's too late. " Wasn't that nice? So I panicked and picked this stuff on since there was an in store coupon with it. I like it so far but I've never been too keen at putting lotion on my face. I have also used Hope In a Jar by philosophy, I LOVE THIS PRODUCT. I feel like it's a little expensive but it is totally worth it. For body lotion I stick with Jergen's Original Scent body lotion. During the day I use Tahiti Sweetie, from the True Blue Spa collection by Bath and Body Works. This is a favorite of mine due to it's smell of tanning lotion. It makes me think that I'm on vacation, even if I'm not. Sometimes I stock up on Coco Cabana lotion by Bath and Body Works when they break it out once a year since it's discontinued. That is truly my favorite scent. I love all things fruity and fresh smelling. 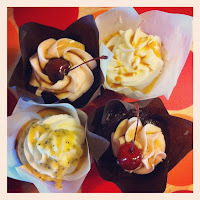 Some people don't want to smell like ice cream or a banana split, I am not one of those people. Rumple's Wiggin' on my fingers. And Ogre the top Blue on my toesies. So there we go, I didn't realize how much stuff I use everyday. How much do you use? More? Less? Right now I'm thinking about what I will wash my hair with in the morning, I may need to get under the sink and dig out something I haven't used in a while!